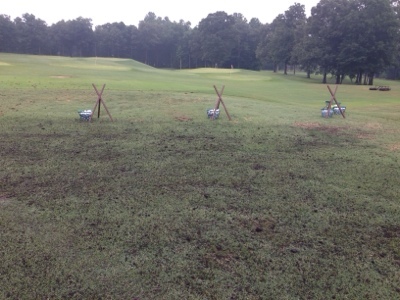 The practice tee is receiving a few paces of compost to help with recovery from play and the rye grass transition. The compost will help to hold the heat and release nutrients for the plant and provide some added soil benefits. It will be spread over the entire tee at a 1/4 inch. 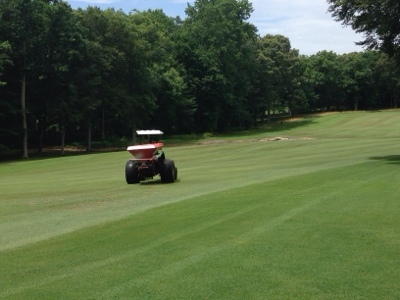 Fertilizer is also being added to the fairways to continue to push the Bermuda to a full recovery from the rye to Bermuda transition.